A 3rd generation family owned company established for over 70 years we have a wealth of knowledge in our subject field. Specialising in Telescopes, Binoculars, Night Vision & other optical products, we also offer an eclectic mix of high-quality giftware. As a specialist independent our product knowledge is very high and we are therefore able to offer more than just be an Internet source for discounted binoculars and telescopes. Of course, if you are not in a position where you can easily get to our Warwickshire showroom we offer full mail-order facilities including next day delivery on many of the telescopes and binoculars held from stock. Add a little movement and further interest to the garden with these innovative 'wind-mills'. Designed to move with the breeze, these pieces comprise of, in most cases, dual movement 'sails' and are silent in motion. On sturdy powder-coated supports, they require minimal maintenance and are supplied 'flat-packed' and require some simple assembly. At Sherwoods, we stock various optical products and as we've been established for over 60 years, we know what we're talking about. We are a family team of specialists so whatever you're looking for, we believe you'll find it here; from our website, you can even order and have your purchase delivered directly to you - for only £3.50! We stock an extensive range of bird watching binoculars and scopes of the highest quality, enabling you to gain more detail as you watch both day and night. We can also provide astronomical telescopes, which offer significant power to view the night sky in detail. Hunting, birdwatching or even plain surveillance may all be done at night, which means things are not as clearly seen in the dark. Night vision equipment will be necessary for this and as you can see from our range, you can expect quality and convenience. Our night vision equipment is small and light and we even stock equipment that is rubber armoured for extra protection. You may be an amateur, you may be an expert, but here at Sherwoods we offer astronomical telescopes and bird watching binoculars for everyone. Taking into account your experience and budget, we know we have something for you. Telescopes fall into three categories depending on their strengths and weaknesses, and everything you need to know is readily available. If there is anything else you need help with, contact us and we will advise you further. Performance wise, you won't find any product that will impress you more than what we have in stock. 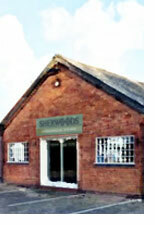 At Sherwoods, we are the ultimate specialists with expert knowledge to help you find the best you need.